“What is the best way to gain size?” Because I am a competitive bodybuilder and coach, I am asked this question more than any other, and in my experience, everyone seems to expect that there should be a black and white answer. The truth is that if a black and white answer were to exist, wouldn’t everyone who is seeking physique development already have the body they want? A common idea in the industry is that in order to get bigger, you must lift heavier and heavier weights and constantly work to gain strength. This is only partially accurate. The problem is that many people misinterpret this approach by striving to increase limit strength (1-rep max) in order to induce hypertrophy. In doing so, they focus exclusively on lifting more weight, thereby training the movement and not the muscle, and this flawed strategy undermines proper muscle fiber recruitment. Lifting better, not necessarily heavier, is what is essential for development! How much you lift is only relative to correct lifting technique and execution. 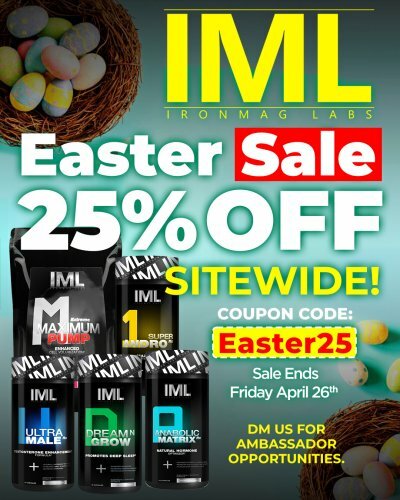 Another industry plague is the ingrained dogma of bodybuilding. Put simply, bodybuilders are creatures of tradition. They tend to either do what they have always done or follow a trend because a champion bodybuilder did it, not because there is actual expertise behind it. 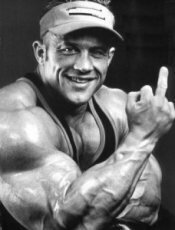 Consider Dorian Yates, for example. Undoubtedly, he had one of the best physiques in bodybuilding. However, he also had countless injuries as a consequence of his training style. Many people followed his system not realizing that only a select few could actually achieve real progress from it. Dorian eventually reverted to more traditional hypertrophy training because he had to think more about the long-term as opposed to short-term, as most bodybuilders tend to do. Lee Haney, a multi Mr. Olympia, was always known for both size and symmetry. He was one of the last of the mass monsters who had a tiny waist and incredible shape to compliment his sheer bulk. Most individuals have no concept of how to monitor and vary their training in order to achieve the best possible results because they have simply never been taught properly. Unlike most other sports, bodybuilding (or physique development) has never had the benefit of guidance from real coaches. There are thousands of coaches out there who help elite and amateur athletes alike excel in their chosen sport, be it basketball, hockey, swimming, gymnastics, or many others. Physique development coaches, however–with actual expertise in helping individuals who are not genetically superior to obtain an impressive physique–are a truly rare species. When it comes to training for size, there is a right way and wrong way to go about it. There is a right approach to use when performing a movement to extract the most benefit, and that includes training the muscle through its full range of motion. This does not mean that every person should do the same program–it simply means that after you take into account the individual, his or her current fitness level, current phase of development, and other factors, you still must apply the same basic principles. Note: There are many ways to design a program to suit an individual’s current needs, and this should always be taken into account. 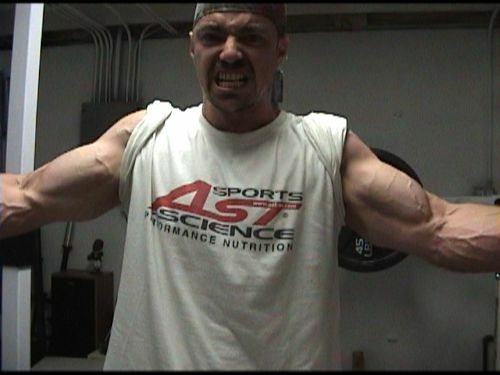 Given this article’s limited scope, however, only basic body part training is discussed here. Pick an objective, and stick to it. When training for physique development, you must recognize this as your main objective–everything must therefore be structured around this goal. Too often I see trainees who want to gain size, but focus only on how much they can bench, squat, or deadlift. Even though these are all great exercises and should be part of a well-designed program, they are merely tools in the toolbox–simply increasing the amount of weight lifted should not be the main focus. Doing so will detract from your goal. Remember, you are training to increase your size, not your 1-rep max. Although I’ll likely be criticized for such a statement, I have learned this through my coaching experiences with hundreds of clients over the years, as well as my own experiences as a former powerlifter. Just because you can bench 400 lbs or squat 500 lbs does not mean you will fully develop your physique. Now this is not to say that you shouldn’t lift heavy; you do still want to incorporate the overload principle. However, the quality of the exercise and obtaining maximum voluntary contraction are the most important objectives, which can only be achieved with proper technique and increased workload capacity with the addition of greater intensities. These principles are much more nuanced than simply lifting as much weight as possible from point A to point B. You want to reach muscle failure, not movement failure, which is when other muscles start assisting in the lift. Your goal is maximum hypertrophy and size, not maximum strength. Flex Wheeler is another bodybuilder who was known for the sheer beauty of his physique. Few bodybuilders have ever approached the flowing lines and rounded muscles bellies Flex sported at his peak. Be realistic. As a bodybuilder, you must realize that you have a unique genetic makeup that ultimately determines how fast you can grow and how much muscle you are able to build. Only a very small percentage of lifters can attain success as professional bodybuilders. No amount of steroids will help you achieve that type of size if you don’t have the right parents, so to speak. Be reasonable, work towards building the best physique you can build, and don’t compare yourself to the genetic elite. People often approach me under the misguided belief that they can add 20 lbs of muscle in a few months. This is unrealistic. It is difficult to achieve such gains in an entire year, let alone a few months. Moreover, unless you are a complete beginner, most of you will fight to put on 10 lbs of solid muscle in one year. The more advanced you become, the harder it gets…that is just being realistic. Also keep in mind that this sport is a marathon, not a sprint. You must be patient, consistent, and tenacious to achieve results. There is no magic pill or single training program that will get you the results you desire. Be focused and be realistic when you set out to become a bodybuilder—in adhering to these simple principles, you will begin your journey leaps and bounds ahead of most of your competition. Target training is a must for bodybuilders. You must learn to train only the targeted muscle in the set exercises for that session. Keep in mind that your body will always try to make an exercise easier by recruiting other muscles, so you must always focus on only making the desired muscle do the work. If you fail to do this, other muscle groups will inevitably assist in the lift. This is not what you want when trying to induce an adaptive response in the targeted muscle. Admittedly, it is technically impossible to truly isolate a muscle. Nevertheless, your goal is to make the targeted muscle the weakest in a group of acting muscles in order for it to achieve maximum overload. This requires knowing the planes and ranges of motion in which a muscle functions in order to effectively overload that muscle. Always ensure that you train the muscle through its full range of motion– research has consistently shown that a muscle stretched with resistance (eccentric loading) will receive the most overload. By doing this, the intensity of the contraction will be much greater, and you will start tapping into your high-threshold motor units, which is essential for growth. If you seek to exert maximum effort and produce development in the gym, you need to avoid the habit of pausing on exercises! For example, many individuals often take a slight pause at the top of every rep on leg presses or squats. Why? Because it makes the lift easier! The pause allows the nervous system to rest, thereby potentially limiting the maximum benefit achieved from the workload. Instead, always focus on the mentality of stretch & contract, and try to keep tension on the targeted muscle over every single inch of every rep. Remember, you are trying to fatigue the targeted muscle and place as much stress on it as possible. Yes, there are certain techniques like extended sets, strip sets, etc., that appropriately incorporate pauses, but in general, focus on just continuously pumping out most of the exercises most of the time. When it comes to bodybuilding, the same tired old aphorisms are circulated over and over again: you must squat to get big legs, you must do pull-ups to develop your back, and so on. Throngs of people swear by these statements, and they might actually work for a given individual and maybe lots of others. Take heed, however–this doesn’t mean it will work for you. Your body’s leverages and the lengths of your arms, legs, and torso will play a huge role in which exercises will be more suited for you in order to fully develop a muscle. For example, if you have long legs, doing back squats may produce more stress in your lower lumbar region and decrease your range of motion, thereby preventing your legs from receiving the most overload! Alternatively, if you have long arms, pull-ups are probably going to be extremely difficult due to the range of motion and distance you need to travel to complete one full rep, thereby limiting you to doing minimal reps. This will obviously reduce overall time-under-tension and take away from your back development. There are countless other exercises that are good and/or bad depending on the leverage system of a given individual. So be smart and choose exercises that enable you to fully stimulate the targeted muscle. Do not get caught up in the industry hype that if you cannot perform a certain lift well then you will not grow. I have proven that axiom wrong numerous times with multiple clients over the years. Understanding the range and plane of motion in which a muscle works is critical to achieve maximum overload in an exercise. What does that mean? Technique is more important than how much weight you use. Remember this when you leave your ego in your gym bag. There is absolutely no room for ego when it comes to training for physique development. Every day I see guys using their own leverage advantages just to lift more weight, but this approach does not isolate a muscle and most definitely will not produce enough overload for an adaptive response. We have all seen guys doing quarter squats and half reps on DB presses with tons of weight just to try to impress someone. Wake up, egomaniacs! This does absolutely nothing for your development. In fact, all it does is increase the risk of injury and make your head swell because you put a ton of weight on a bar and moved it two inches. Is it then ironic that in spite of so many dazzling plates of glory, your legs are as big around as my wrists?! Ego. Gym bag. Leave it. Unconventional training and diet were just the beginning. Few bodybuilders have ever looked so good in the “relaxed” pose as the late, great Serge Nubret. People that ego-train are not making the targeted muscle the weakest in the movement. They simply use leverage and often momentum as well to complete the lift for them, thereby stressing the joints more than the actual muscle they are trying to work. Humble yourself and back off the amount of weight you are using, and instead, put the muscle through its intended range of motion. Invest your time in the gym and stop squandering it–strength will come over time. If you try to force it, you are begging your body to react negatively, if not disastrously. Another misconception is the appropriate exercise order for a particular muscle group. Likewise, a common maxim in bodybuilding lore is, “Thou shalt do compound movements first and isolation movements last.” Why? The real answer is that you can lift more weight if you perform compound movements first. This is more ego-driven nonsense. Again, we must concentrate on training muscles and not egos. Varying the sequence of exercises will keep your body from adjusting too efficiently and help to further isolate muscles. For example, switching up and doing leg curls before squats will do wonders for hamstring development and actually help to engage quads more when doing squats. Just because you will then need to squat less weight than you typically do doesn’t mean you won’t grow (remember your goal??). Your muscle only knows how much stress it is under, not how much is on the bar. Quite simply, if the weight is challenging, then it is the right amount. Variation is one important key to an adaptive response. Therefore, when you write your program, occasionally start a session with flyes, leg curls, etc., and save the big movements for last. Finally, let us address the beloved heavy-weights-for-low-reps tradition. 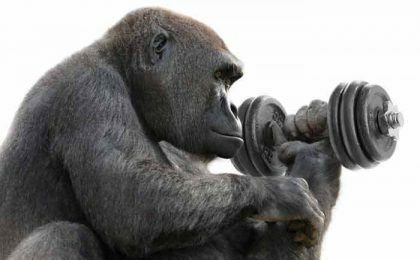 In every gym in which I have ever trained (and in most forums for which I have written), the most common solution proffered for getting big is to use heavy weights for low reps, and the converse of that is to get cut, use lighter weights for high reps. Both solutions are wrong! If you are a bodybuilder, you are always looking to increase your workload capacity; you don’t achieve this objective by using low volume and heavy weights. Most of the time, you achieve it by using heavy weights and high volume. Keep in mind, when I say “heavy,” I mean heavy relative to what you are doing, not “how much is on the bar”. Also, when it comes to volume, you don’t just do a ton of exercises and get results; volume has to be properly and intelligently progressed. To many times trainees take this advice and basically do junk volume with no rhyme or reason other than to do more, but unless the program design is properly applied based on the individual, you will do more harm than good and hinder overall results. Extensive research has shown that the duration of overload on the muscle produces the most growth, not the amount. Therefore, instead of focusing on how much is on the bar, your goal should be to achieve maximum voluntary contraction on every rep of every set of every exercise you do. This requires proper technique and incredible concentration, which leads to greater overall intensity. Choose a weight that allows you to concentrate on performance, and once you adapt to that, increase the amount of weight you use accordingly. Again, lifting better and harder is more important than simply lifting more. If you have been scratching your head wondering how you should be training in order to be a bodybuilder and develop a great physique, look no further–this article should help to clear up the confusion and dispense with a lot of misinformation and myths out there in the industry. If you take the principles I have discussed and apply them to your training, your results will increase substantially.